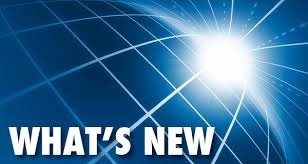 Click here to check what information and material has been added to the website recently. Some more dates for your diary here. To promote an interest in local history among residents of Sutton Courtenay and the surrounding district by holding regular meetings and inviting guest speakers. To undertake research on the history of the village and its neighbourhood. To encourage and support research into family history. The centenary of the start of World War I has drawn attention to former Prime Minister Asquith and events at the time of the declaration of war with relevance to Sutton Courtenay. 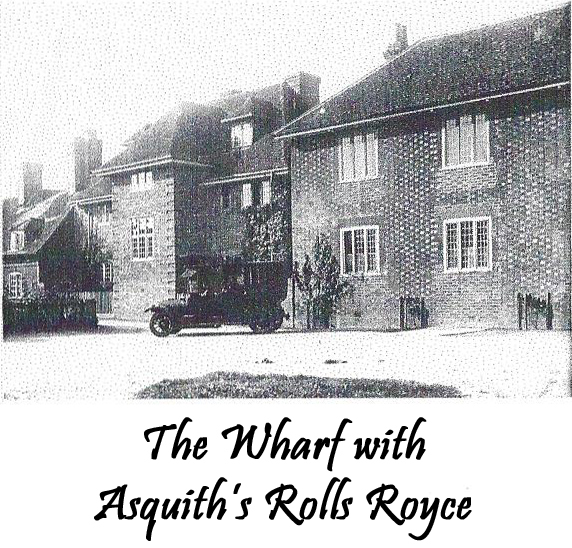 In 1912 the Wharf was purchased by Asquith's second wife, Margot, with the help of a benefactor - partly as a country retreat and also because their son was at a prep school in Oxford. The Asquiths frequently came to Sutton Courtenay, particularly at weekends. It is known that members of Asquith's government sometimes came to the village for meetings and it is likely that discussions took place about the situation leading up to the war which may have given rise to various versions of events that have circulated over the years. However, it is incorrect. as has been claimed, that Asquith was in Sutton Courtenay when war was declared. Recently a number of historians and a biographer were contacted to investigate this and all are in agreement that Asquith and his wife were in London throughout the days leading to the outbreak of war. Records show that each day Asquith was engaged in cabinet meetings and discussions with colleagues. On Tuesday 4th August 1914, the cabinet met in the morning to formulate and despatch the ultimatum to Germany. 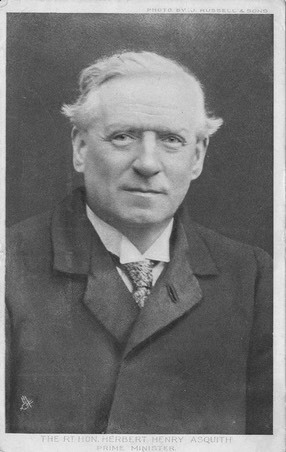 In the afternoon Asquith addressed the House of Commons after which he and Margot sat in the cabinet room waiting for the ultimatum to expire at 11.00pm. Margot Asquith's War Diary, which has recently been published, also confirms their whereabouts and activities at this critical time. It seemed important to clarify this in the light of statements that have appeared recently both in print and on local radio. Some historians and authors have criticised Asquith for his leadership during the first two years of the war until his resignation in 1916; others, on the other hand, consider his reputation as an unsuitable war leader to be unfair. Be that as it may, Asquith's peacetime premiership from 1908 to 1914 has been favourably regarded as his government introduced significant domestic reforms, including welfare legislation and a reduction in the power of the House of Lords.